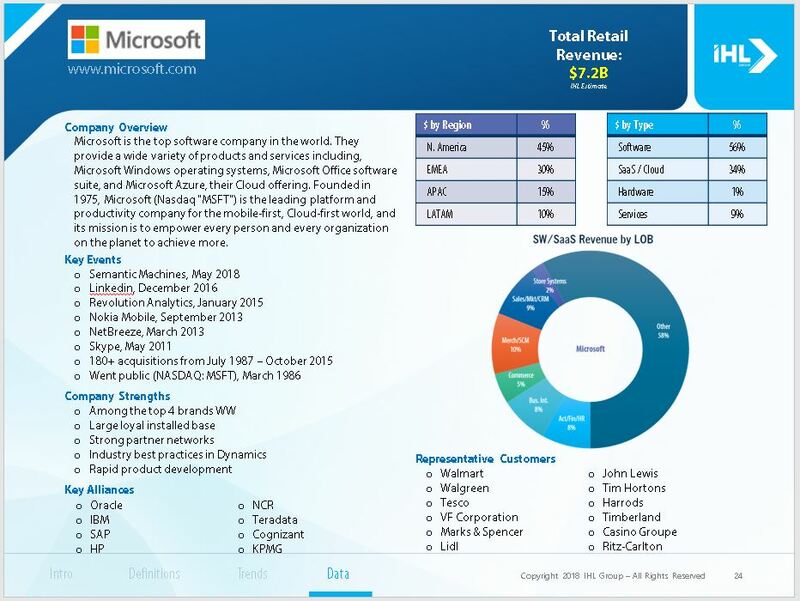 The Retail Software Market is exploding worldwide for two main reasons: retail in emerging economies is expanding, and enterprise retailers are re-architecting their systems for Unified Commerce (the systems that enable the procurement, sale and delivery of merchandise independent of channel) and Cloud computing (along with its cost efficiencies). 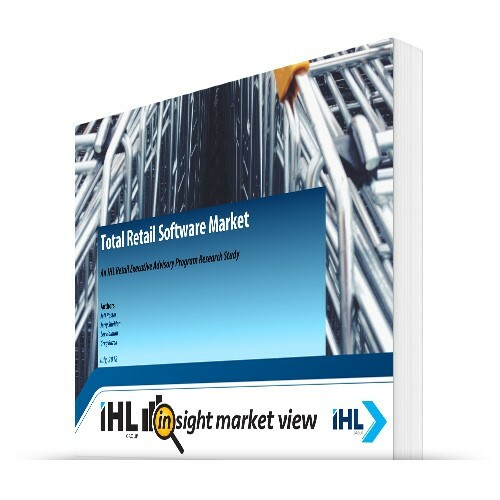 IHL projects the worldwide software market will grow 55% from $57.6 Billion in 2017 to $89.3 Billion in 2022. 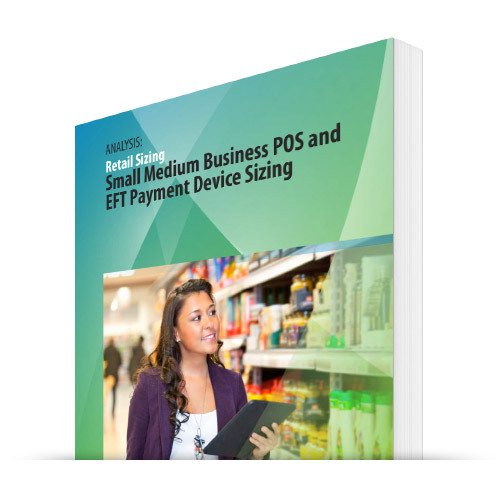 This particular report looks at the overall Retail Software and SaaS Market Worldwide. Who are the real leaders? What are the real software rankings? 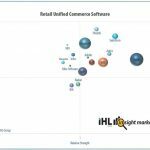 Who is leading in the Retail software market? 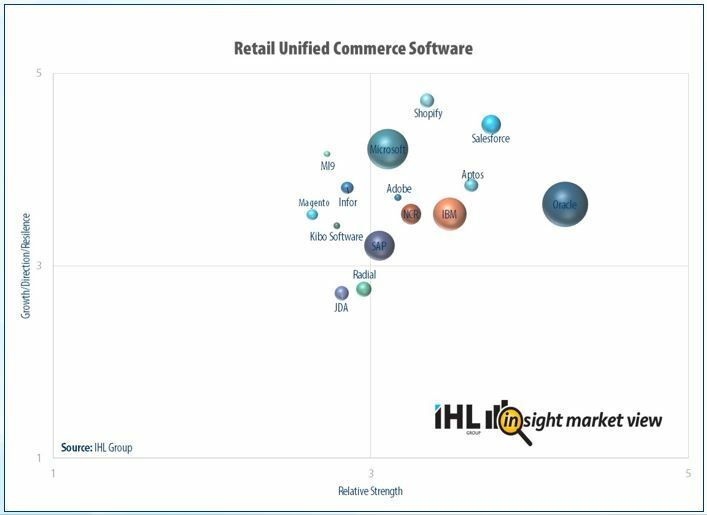 Which vendors are leading in sales, innovation, market reach and can implement a complete Unified Commerce approach? It’s all here. 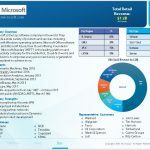 1010 Data, Adobe, Amadeus, Amazon, Ansira, Aptos, Ceridian, Checkpoint, Coupons.com, Dematic, Diebold Nixdorf, Dunnhumby, Epicor, ESRI, First Data, Fujitsu, Gerber Technology, Global e, Google, Hot Schedules, IBM, Ibota, iCIMS, iCrossing, Infor, Information Resources, Intershop, iTradeNetwork, JDA, Johnson Controls, Jonas Software, Kalibrate, Kronos, Lengow, Lightspeed Retail, LS Retail, Manhattan Associates, Manthan Systems, Microsoft, Microstrategy, NCR, NEC, One Network, Oracle, PCMS Datafit, Pitney Bowes, PrestaShop, Radial, Reflexis, Relex, Revionics, RevTrax, Saba, Sage Software, Salesforce, SAP, SAS, Seeburger, Shopify, Sitecore, Snag, Square, Store Electric Systems, Symphony Gold, Tableau Software, Teradata, Toshiba Global Commerce Solutions, Turn, Ultimate Software, Witron, and WooCommerce. 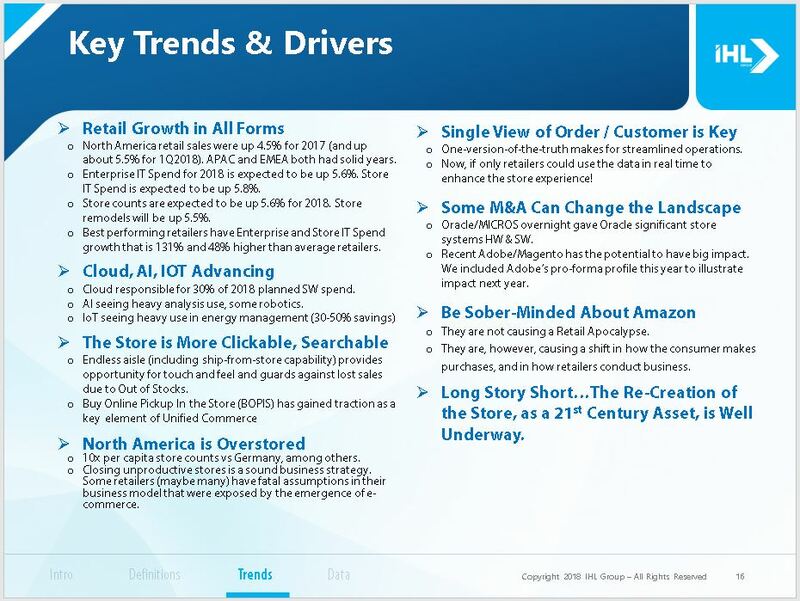 This is the first of several studies under the IHL Insight Market View series of research that is part of the Retail Executive Advisory Program (REAP) at IHL. 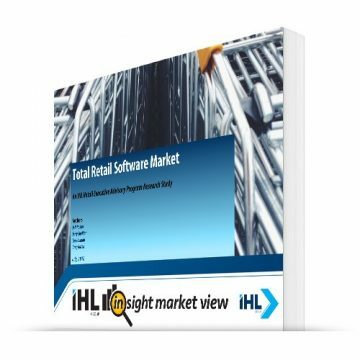 This study looks at the Total Retail Software Market across 13 market segments of Retail and Hospitality. 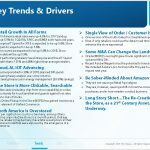 Readers of this research will get a forecast for Software Licenses, Software Maintenance, and Software-as-a-Service. In addition, we size the market by Line of Business Categories ranging from Business Intelligence to eCommerce to Merchandising and Supply Chain to Marketing to Store Systems; 10 LOB categories in all.